Thanks for entering this giveaway!! The winner is Amanda Stevenson Fulton! This offer is now closed. It’s Monday and the sun just started shining! YAY! It’s been ugly and rainy outside all morning while I’ve been cleaning and working, but yahoo, the sun is out now AND it made me want to offer this One More Step Encouragement giveaway today! So… after all that rattling, we’re keeping this simple. What is your favorite way to be encouraged or to encourage someone else? Have fun entering! The giveaway closes at midnight, 12/16/15! Disclosure: Post contains affiliate links; site may be compensated if purchase is made. See full disclosure policy. I love to be encouraged by song & little tidbits on email or twitter. Nothing long, just little tidbits from God! I’m always encouraged through reading daily scriptures, mediation, and prayer. I encourage with positive words, support, love, and understanding. Foremost is time alone with God. Meditating, prayer, and reading the bible. I also like to journal new things and review my previous secular journals. I also like quiet, quality time with my family, most of all with my dear husband. My children and my first and only grandchild bring me great joy and experiences for prayer, remembrances, and time for thought about growth, love, and how to best interact with each person I love. I admit I like a little “down” time to pamper myself with a mani. pedi, or facial rejuvenation. Being a female is important to me and I like quiet time to give to that. Music is very encouraging to me, especially Christian music. I am a lay pastor with a license, and I enjoy listening and praying with others. I try to reach out and encourage others with a loving ear and heart. Being a good listener is important to me in my efforts to encourage others through scripture, life experiences, and things I read since I am a vociferous reader. improve my relationships with people in my life. thank you and Happy Holidays! A Hug! A Hug always makes me feel better, not matter how I feel. The same is true for someone else. It always puts a smile on someone’s face if they are having a bad day. Share that you will say a prayer for them, and then actually pray for them! When someone recognizes the hard work I have done, it’s the most encouraging to me. They don’t have to brag, just say, “You really worked hard on this.” Teachers don’t hear that nearly enough these days. My favorite way to be encouraged and to encourage others is through the word of God! God’s word offers all the encouragement we ever need! To encourage another person I pray for them & mail them a list of Scriptures that offer encouragement. When a friend offers to pray for me through a down time that encourages me, along with reading Psalms which calms me down. A nice little note, email or text,just say hi and that you matter to me. Everyone likes to know they are being thought about. I am usually encourage by Christian music and I love to encourage others with either sending them a link to a song or just a few words from the Bible! I love encouraging people by making them laugh. That is a great way to encourage! My favorite way to be encouraged and encourage others is through words. Whether they are from the word of God or my own words of encouragement to others, I find that the simplest of words can have the greatest impact. My favorite ways to be encouraged is when God uses all different ways to encourage me: books, songs, words from a friend, etc. Then in return I can share the encouragement with others that I meet in my life. I love being encouraged by scriptures, especially by my husband. Every time I get overwhelmed my brain completely shuts down and he’ll then send me a text with a bible verse in it and it amazingly makes so much sense and is so calming/encouraging! When I encourage someone else I always try to find something rational like a quote, bible verse, or something they can read to feel encouraged. I hope to encourage other by them seeing God working in my life. I like to be encouraged the same by seeing God in a persons life and wanting to be more like that to glorify a God. My favorite way to be encouraged or to encourage someone else is to “PRAY” first then “WORSHIP OF PRAISE” with the Lord and that person. I also love to read the many different things you share. My favorite way to be encouraged is to read blogs from missionaries of preachers of really anyone in ministry and read what God is doing in the lives around them. I love seeing what God is doing around the world and who He uses! My favorite way to encourage someone else is to just walk life with people. Wherever they are at. Just listen if they need an ear. Help clean if that’s what they need. Just putting my needs to the side to walk life with others! Encouragement comes as I surround myself with wonderful friends…I encourage them and they are an encouragement to me! I love it when God prompts me to send a random message to a friend and they reply with a “Thank You, I really needed that today!” It’s a two fold blessing. One for them and one for me, in that I see how God used me to help someone. Being listened too or letting someone talk it out. My favorite way to be encouraged is by my children. I have two children and expecting another, I have a toddler and an infant all whilst pregnant. 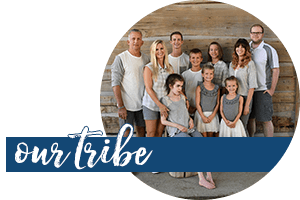 At times it gets overwhelming and frustrating between my children, my husband and my hormones. At those moments when I feel like giving up and throwing in the towel like “I can’t do the job” attitude, my children really turn that around for me. Looking at their little faces and seeing the concern and joy that they have for me and because of me reminds me of Gods purpose for me. I remember that he has a plan for me and he wouldn’t have made me a mother if he didn’t know that I could be an amazing one! They encourage me to continue to walk in Gods will and hold on for the sake of myself and them because a joyful and empowered women is who they need me to be in order for them to come to know God as I do. I love to encourage others and myself through positive affirmations! My favorite way of encouraging people is talking to them of God’s work in mmy life sharing my experiences and how God works & his promises (: When I need encouragement I read my bible and write my prayer to God in my prayer journal & it never fails that when im stuck in a rut i tune in to a sermon on my phone and its always so perfect!! I get encouraged by reading the Bible and peoples inspirational quotes on histogram. I try to encourage others by sharing those Bible stories and quotes. First, I allow the Holy Spirit to direct me on how to encourage. I share scriptures, songs, quotes, testimony … whatever I feel led to do at the time. Those are things that I draw encouragement from. And I don’t just say I’ll be praying for you … but I pray with them right then & there. Just being there to listen, laugh with, cry with. Doing what Jesus would do. My favorite way to encourage someone starts by listening to them, really listening. I will type up some scripture that fits and a personalized prayer for them. Some times it’s just saying a kind word to let them know they are loved. Sometimes an encouraging hug. My favorite way to be encouraged is through God’s word. I enjoy it a lot and get a lot out it when I read it and when people speak over me with it. It is the same way when I encourage people, I love using God’s word to help someone with whatever season in their life they are at. I am a child of God and I want to speak his jot to all who want to hear. I love to encourage others by making them laugh…and I love to be encouraged by others by just getting a hug! That just makes me feel great when someone takes the time to give me a hug to show they care!! When I pray with someone I think that we both are encouraged. I got so use to saying “I will pray for you” but when I actually take the time to pray, in the moment, with someone, it brings us closer to each other and to the Lord. My favorite way to encourage is to really listen to someone and text them little words of encouragement. My favorite encouragement is scripture. I like to be encouraged just by people spending some time with me. I like to encourage others by letting them know that I’m thinking about them when they don’t necessarily expect it. I mail out cards weekly. Some weeks they are sent from my list and others to whom Spirit speaks to me with a need, I do a flower delivery. Yellow carnations. I love that I have been blessed to be able to do this. I find encouragement when I am listening to worship music, even in my worst day a good uplifting song takes away the anxiety and that overwhelming feeling that sometimes likes to make you feel down and depressed. When appropriate, I like to encourage with a warm hug or a gentle rub on the back. I love to share little words of encouragement; either face to face, with a little note, or by sharing a little image with encouraging words included. I enjoying receiving things like this too; even if it’s just a little “I’m thinking of you”. I love to receive and give cards. I have a card ministry at my church and among my friends that I send them cards to encourage them and to let them know that I’m praying for them. I like to encourage others by listening to them sometimes someone just needs some person to listen to what they have ben going through to know that someone cares. it’s encouraging to me when someone gives me a card when I’m going through a rough time! A simple and smile and a promise of prayer! Sometimes it’s simply walking up to someone in a group who seems to be shy or alone, saying “hi”, and seeing if I can be a friend. This is actually hard for me to do, since I’m quite shy myself. But God seems to give me a gentle little “push” to step out if my comfort zone, and I’m able to do this. I’ve made some great friends this way. Since I am a shy person, it’s always a comfort for me in a group when someone does the same for me! The best source of encouragement is God’s word! It is alive! No matter what I or anyone else is going through, there is a passage(s) that can help make it through and bring understanding and peace. The way I encourage myself and others is through the Word of God. Hmmmm…. how I like to encourage someone really depends on the person. Sometimes a text or email to let them know I am thinking of them and maybe a Scripture verse or an encouraging quote. Or maybe a little treat or small gift. By little notes either by email or snail mail because it means the person took the time to not only think about you but to let you know it. I love to encourage people by mailing handwritten cards or letters. I love encouraging people everyday with love friendship and support! I Know that I can only do this because GOD has loved me first! I also love to give sometimes its just simply a kind word of encouragement. We all need to feel that love from others every now and then! God’s word is a great source of encouragement and I love it when people send me a verse that they think is appropriate for me in my circumstances. I send verses to my friends too, usually ones I see on FB that I follow. My favourite way to be encouraged is meeting with my women’s bible study groups. They always have wise words and prayers that uplift me and inspire me. By someone that I know randomly coming up to me and hugging me and telling me they are praying for me. I like to send cards in the mail. Who doesn’t love to get personal mail? I love encouraging people with the same, little notes, or anything I find that I feel might make them smile. Based on their life exeriences. God is so perfect and our lives are so imperfect, having His grace and mercy, gives me home! I love encouraging people with the same, little notes, or anything I find that I feel might make them smile. Based on their life exeriences. God is so perfect and our lives are so imperfect, having His grace and mercy, gives me hope! My favorite way to give or receive encouragement is to write a note to someone or for them to write to me – a genuine handwritten note! I like scriptural encouragement like when it was pointed out in Psalms 139, I am fearfully and wonderfully made that God knew me in the womb, when your made to feel less than .Scriptures, and the fact God sent His Son to die for me even if I were the only one, well powerful encouragement. Sometimes all it takes is a smile or a kind word. I love smiling in the store. Everyone seems so glum. My friend and I arrange to have a cuppa over the phone – we get a cup of tea and catch up with each other. My favorite way to encourage others and be encouraged is sending a card with a positive uplifting message and a handwritten note inside. I love making cards so I give out/send quite a few. I also make them for my niece who is with ywam and she uses them to encourage her students (I sent so many last time that she gave some to the students to use for each other). Pay it forward, I guess. Sending them a card, text, or fb post. With hugs!!! a warm, comforting and loving hug as if our heavenly Father would hug us his children!! As an encourager, i pray for each situation before offering encouragement, as as humans we are all different with different situations, no matter what though those whom i encourage know i am available to them 24/7 if their needs are desperate. To be encouraged by others, it is the sincerity of their heart that has the desired effect . Thank you Rachel and your family for your time spent encouraging us. I’d say my favourite way to encourage, and be encouraged would definitely be songs and snippets from songs. For me, its often the music that recalls ‘bits’ of lyrics that will come back to me later or entire songs that just have to be shared so the other can feel as encouraged as I did. I encourage myself with reading scripture and notes. I like to send texts, cards and words of encouragement to my family, friends and others. My favorite way to be encouraged is for someone to send me a Bible verse, song or ask me how I am doing. I send out a “song of the day” to friends and family to encourage them. Sometimes I send a sermon or a Bible verse to let them know that God loves them and I’m thinking about them too! My favorite is to have someone pray over me and ask ylthe Holy Spirit to wrap their wings around me for protection. To give encouraging words I like to pray over them, and then periodically send them words of encouragement via text. Just a text or a call letting me know they have prayed for me. Encouragement comes in so many ways…it may be a smile to a stranger in the check out line *who’s day has not gone well. Help someone put groceries in their car or find an item in the store. I believe everything we do should encourage others. Kind words when needed or just a supportive shoulder. Words are great but your actions are equally important. I’m encouraged in different ways; it depends on the situation. I need to be listened to carefully so I feel understood, scripture, songs, books, prayer, e-mail. text, written prayers through e-mail. But, the most recent was a car I hadn’t seen in a parking lot I see everyday, and the license plate said, “believe” and I knew it was Jesus speaking to me. I also meet with people over coffee, ask questions, and I do the same thing with other people. Honestly, it’s what I feel the Holy Spirit nudging me to do with the person needing encouragement. I like to write encouraging messages or send a text to someone that is on my mind and heart that day. There is a lady that I know, that lost her husband and year ago and they have a 7 yr old son and a 4 yr old daughter. I am sending her encouragment to let her know that there are good people still out there. I have got up a few people to buy these sweet little kids Christmas. I love encouraging people to keep doing the right things. I get encouragment by someone just writing a little note to me. I have made a book for me with my little encouragments. I find worship music to be one of the most encouraging things for me. Something about singing God’s praises just really gets the perspective back where it belongs! Sometimes it seems like when we fail, we knock ourselves down, discount the wins, and to top it off, it feels like everyone else joins in with negative feedback. The best encouragement I’ve received and given is what my husband learned from his parents as a child: It’s OK. It’s OK not to be perfect. It’s OK to fail. Just try your best. My favorite way to be encouraged is to BE STILL. ….And feel the power of God resonate through me…..
For me the scriptures encourage me because its truth and no matter what is going on I can trust what God says. I like to encourage others meeting them where they are at asking God to help me say the right thing. I love to surprise people with an encouraging word when I know they are having a bad day or just out of the blue. You never know when someone needs to hear something positive and uplifting. I am always encouraged by taking some quiet time in nature, and marvelling at Gods creations. This always calms me, and I find something to be thankful for! To encourage others, I ‘always look on the bright side of life’ and am a firm believer that there is good in all situations. Encouraged by doing something for someone else especially when they least expect it. The best way I believe in encouraging someone to go outside your comfort zone, to reach out to their needs. If I see someone at work that may be having a hard time, I tend to go to them by maybe sharing something that encouraged me through reading or the Bible. I talk to them about my walk and what gives me strength. I would even try to give them a little gift of maybe a chocolate or a little saying that I print out (doesn’t always have to be biblical). If its someone I may not be so familiar with, I would try to offer a kind work or even a hug. A simple phone call that says you are worth more than you know, helps someone brighten their day. I love helping people be their best! A simple phone call will do. Especially when it’s not expected during a time when it’s really needed. I like to send encouraging emails of great inspiring articles on who others overcame adversity. This is something that can be printed out and read each time you’re feeling discouraged . I print out cards with inspirational quotes or bible verses. Everyone I give them to enjoys them and beg for more. I love to be encouraged when reading my bible and it is about, what I was just worrying. And when strangers say hi and smile to you in the store or somewhere else and I like to do the same for other people because you never know what is going on in their life. Hand-written letters! They’re my absolute favorite! My favorite way to be encouraged is having my quiet time with God, praying, and not letting anything spoil my joy. I encourage others by giving them kind words of motivation, and telling them all the wonderful things God has done for me.. Hearing the message on Sunday and then various topics in Wednesday night Bible study encourages me — not only at that time, but also to dig deeper into God’s Word on my own. I like to encourage others with a smile, text, or kind word! A smile, a huge, a prayer, a bible verse, and then just being there to listen. My favorite way is by the word of God! Pretty simple when it seems to match what I’m going through or when I come across a scripture that will help some else I will send it their way. I love to encourage others by sending words of encouragement through an email, letter or card. I also love to receive the same. I prefer written, because you can always reflect over it, I tend to forget details after a while and sometimes, it’s good to be able to go through your things and find little notes of encouragement that was something from the past but God’s perfect timing also makes it encouraging for the present. I am always moved and encouraged through music. I have a long drive to work and I listen to and sing music of praise my whole drive to work. I encourage others by noticing little things about them, whether it be their clothes or a kind word they may have said to another person, sometimes even just their big beautiful smile! I like to pray together with someone. Share a hug and maybe tears of sadness or joy. Of course talking about the need is always the best way to receive or give encouragment. Lately, I have been encouraging by listening to a friend of mine that has gotten himself in a bit of trouble. And reminding him to dig deeper in the Word and to constantly pray. And just letting him know that he does have a friend that will be there always. For my own personal encouragement, I just have to continue to remind myself that God is in Control and He can perform miracles!! I encourage others by giving encouragement, make their favorite treat, buy them something they really like (like a favorite candle), listen when they need to talk (no matter the length of time. But most importantly I pray for them and send them bible verses that help in their situation. I love to send notes of encouragement to people. Too often, we settle for texts or emails. A personal, handwritten note goes a long way in bringing a smile to someone. My favorite way to encourage someone is to do something special for them and to speak words of encouragement to them. For instance if my mom likes cookies and tea then I will make that for her. Sometimes though I speak uplifting words of truth. I love to be encouraged with a hug and prayer. It just lifts my spirits when someone lets me know that I am that important to them. I love to do the same for others because I know how much it helps me. My favorite way to encourage someone is to compliment and recognize the things they are good at! It shows them the things they have accomplished and motivates them to want to accomplish more:) God gives us each different gifts and and talents and it’s worth celebrating those when things aren’t exactly going the best or feeling helpless. I love to encourage people by feeding them! My favorite way to encourage others is with positive words of encouragement and prayer. I am most encouraged by God’s word, uplifting music, and the genuine smiles and hugs from those I love. 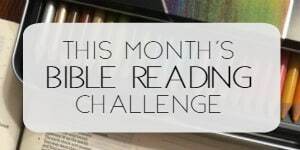 I get encouragement by reading the Bible and daily devotionals and reading my email devotionals. I also when ever I possibly can try to encourage people with kind words to help them though there day. I am usually encouraged by kind happy words , a visit and God’s creation(like the cardinal or robin that sits on my deck by my kitchen window and sings. To encourage others I like to give encouraging,kind words or a like act of service (like doing a friends dishes or surprising them with the ingriedients for a quick meal. For me it’s reading the bible. I can’t ask for a better way to be encouraged. My mom just had her bladder removed (she had 2 forms of bladder cancer) plus 3 other major surgeries at the same time. She had all this done on 12/9/15 and she is still in the hospital. I bring my bible with me everyday and that is how I make it though the day. It’s been very tough watching my mom lay there in bed hurting and there is nothing I can do but knowing that God is taking care of her helps me get through each day. Also, I love reading anything that involves personal growth and spiritual enrichment! 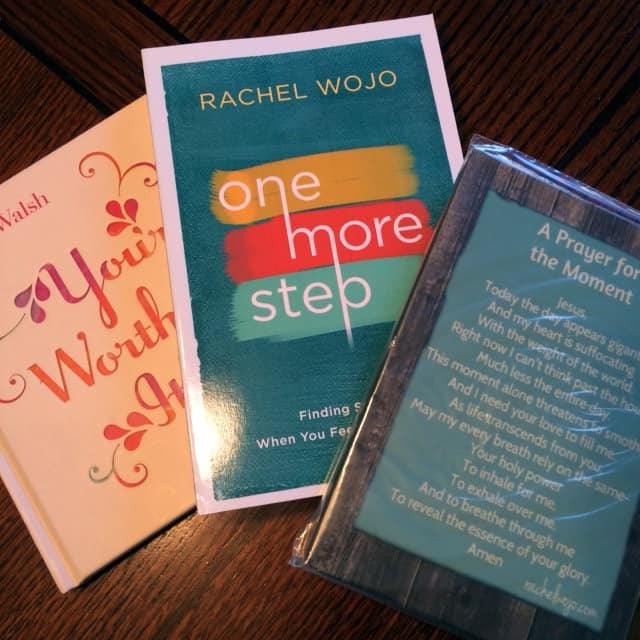 Thank you for this freebie opportunity, Rachel Wojo! My favorite way to be encouraged it though reading the bible. God always finds a way to speak though the scripture. When I am needing extra encouragement I will open the bible randomly and read a few passages. Somehow I always open to a passage that speaks to my situation. I am always amazed at how God works. I encourage through my embroidery and quilting. Obviously, these are BIG ways. It amazes me how often the timing of one of my projects is truly God-ordained and especially meaningful in the moment it is given. Of course, kind and loving words are always readily available and require no prep other than an empathetic spirit. I am encouraged by reading God’s word, praying for others and my family. I am encouaraged. By listening to others giving them a shoulder to cry on. Helping others who don’t have much doing the Holidays the kids. I learn so much from your site about the shoe box I was encourage to do that. I am encouraged through songs especially when I was down the Holy Spirit lead me to sang a song Jesus is all I need and he is the one for me. I am encouraged for the goodness of the Lord Jesus Christ for who he is in my life. Music is a great way I find encouragement when I am not sharing with others my struggles. Another way is through private prayer. I text whoever the Lord lays on my heart for the day with thanks and encouraging words. Sometimes it is just one person, then sometimes it may be several people. I find that often I am encouraged by their responses. I listen first to the person talking and then to the Holy Spirit’s guidance. I listen for the heart-need, then follow through with a blessing. It encourages them and it encourages me too. I buy CD’s on sale, then pass them out. Most people take it even if they do not feel like talking. If I can turn just one person to God, it is so rewarding! I always give a an handmade card to someone I know that could use some encouragement. Sometimes it’s the simple things that come from the heart that puts a smile on someone’s face. I like to encourage someone with a sweet text and scripture ! I try to always give people a smile, if they want to talk I listen by looking right at them. I always try to let them know that God is always listening and tell them I’ll include you in my prayers. I think for the most part when someone looks at you a smile rather you feel like one is a way to make them feel like someone cares. The gift of stopping and really listening is such an encouragement. With a smile and comforting words. I like to get hugs and encouraging words and my little one loves them on her rough days too. Send a text, letting them know they are on my mind and I am praying for them. My favorite way to encourage someone is by the Word of God. I’m encouraged by a kind word, a hug, or hearing a special song come on KLOVE radio when I need it. I am encouraged by all he ways mentioned especially by the Word when given life. Worship, prayer and just hearing our Lord’s sweet voice. Also, going back and reading my pass journals and remembering all our Lord is done! I like to encourage others with cards, calls, spending time together and speaking words of affirmation and praise and God’s Word. Reminding to the person all the thing to be Grateful for… First of all praising God’s nature ( How Great is His name, Mighty .. Powerful.. and finding Him in all circumstances… ) by doing that It helps to have the right ATTITUDE to control the behavior and the thoughts! We pull it out from the Power that the Bible has on it. I encourage others with a hug, or a smile, or maybe a book or cd, it just depends on how the Lord guides me that day. AND I tell them that I will pray for them, and pray WITH them right there. My way of encouraging others is also my favorite way to be encouraged myself and that is through cards and letters. There is nothing better than getting a card when you are having a down day, and you can go back and read it over and over! Whenever I am weak, I can feel the fullest presence of Jesus making me to do even a very small thing which I can’t with His supernatural strength. In all those situations I feel encouraged and it makes me to do great things which I can’t !! My best way to be encouraged is when I am really feeling down and not want to pray, just pushing through anyways. I always feel more encouraged and thankful that I did push through. The way I encourage others is to give them a compliment or send them a quick scripture text to let them know they popped in my mind. I’m encouraged by kids, my girls, the kids at my daycare! The smiles, the huges, the joy in the their face when they see you! How can they not encourage you! To encourage I first listen, give positive feedback, smiles, huges, laughter or just be there in silence! My favorite way to be encouraged is when God reveals Himself to me by adversity, just when I need Him most. And the best way to encourage somebody is with the Bible and my own experience with God. I love to leave people little notes with encouraging quotes or phrases. I love to receive them too. Ita an uplifting way to let someone know you are thinking of thwm or they are thinking of you. My encouragement comes from my church family and the Bible. I also find a lot of encouragement from my grandchildren. I like to encourage others with a kind word and a hug. The personal touch is so important to me. My favorite way to encourage is by leaving someone a little note where they will see it; usually it will have a bible verse relating to their struggle. If the person is not near, I send them a picture from Pinterest with a bible verse that I think will cheer them up and let them know they’re in my prayers! My favorite way to encourage other is to show them the grace and love of God. My favorite ways to encourage and be encouraged are messages (text, a note, email, postcard, letter, whatever) and hugs. Sometimes I won’t know what’s wrong (even with myself)–sometimes it’s someone else that needs a hug, and sometimes it’s myself! Anyway a hug can change everything. I’m encouraged mostly by answered prayer…God’s timing is always spot-on. It isn’t always the answer I was looking for but only HE knows whats best for the situation and it always works out. I love to encourage people by a phone call or text message. Just letting them know I’m thinking of them and praying for them. Many of them say it was exactly what was needed that day which in turn encourages me for minding the Holy Spirits prompting. I always like to provide encouragement with a card and including a scripture , prayer or bible verse! My favorite way to be encouraged and to be encouraging, is listening to and giving testimonies. I encourage people via sending them a beautiful prayer, poem or a few words, i tell them about books and web pages where I received insperation from, like Rachel web site help me through so much and encourage me and my friends every day. And by just being there for them and they for me, with an ear and shoulder means the world, because i do not think that being alone with all the hurtfull memories is always a good thing, it will eat you alive sometimes. Thank you for every person out there that is willing to help people that is hurting, by telling your stories and how you got through your pain and hurt, is truly an insperation to all that is reading. Have an great Chrismas an New Year, may all your dreams come true !! Being still and taking a big breath as I sit, sit quietly in the garden or listening to the Christian radio as I drive along. I encourage others by listening to them and taking them to a cafe, giving flowers or baking and telling them funny things to make them smile and reminding them of hopeful truths. I like to leave a little note somewhere the person will find it that thanks them for something they’ve done for me or something I like about them or if I’ve seen they have done something that was hard for them. As a Pastor’s wife I am always looking for ways to encourage those around me. One of my God given gifts is to do things for others. (As i seek to encourage others, my heart is encouraged as well.) Yes, I am a Martha, and like Martha I too struggle to keep my priorities in the correct order. I love your encouragement to keep the main thing, THE MAIN THING. God bless you in your ministry to so many. Aside from my daily devotions in the Bible & inspirational books with daily prayer, admittedly my favorite, and at times most effective way of giving & receiving encouragement, is through the social media of Facebook. Many times I see & read things that give me that positive boost I need at the moment… for that day… or for a specific situation or circumstance I’m struggling with. Sharing those “revelations” with others, namely close friends and/or family, I pray it touches them like it did me, and gives them the encouragement it gave me. My other ultimate favorite is random texts… sending & receiving them… especially when you or someone dear needs to know that they’re simply being though of that minute…. that day… that week. A matter of knowing you matter matters more than one knows. I am encouraged by reading God’s word, praying & knowing others are praying for us, too. And my way to encourage others is to pray with them directly if I am with and also sending them cards. I am encouraged through Scripture and listening to hymns. I like to encourage others with words of affirmation, encouraging notes, and prayer. Thank you for this opportunity!! My favorite way to encourage or be encouraged is to be genuine and sincere in listening and sharing. I am encouraged by hearing the testimony of others and how God has worked in their lives. Another way I am encouraged is through music. The lyrics as well as the instruments tell a story. I love to encourage others with a handwritten card. When I can’t write it, I email or text it. If God brings a person to mind with a specific topic I get writing! I like to share scripture verses with someone to encourage them. God’s word will always speak to us if we listen. I find encouragement from people who give my kind words and hugs. I give encouragement by listening and sometimes just helping them cry. My encouragement comes from reading Scripture on my Bible App every morning and praying and talking to God through out the day. I always smile at people I dont know when Im out and about because it makes me feel good and Im sure it makes them feel good too! A smile… Sometimes all I need is a simple smile to encourage my day/life. I like to encourage others by telling others how God has worked in my life and giving them specific examples of prayers that he answered for me. I also feel encouraged in this same way by hearing stories of how God worked in other people’s lives. God’s amazing grace is never ending and I never get sick of hearing powerful stories about how He works in our lives and how much He loves us. My favorite way to encourage myself or others is by reading the Word of God and what it says about me and who I am in Christ Jesus. My best way to encourage is the Word and I love receiving the Word from someone into my life. I encourage people with kindness, love and respect. Kind words, actions and reactions.Love and respect for them is in important we never know what the other person is going through. Regardless how upset the person is with me i will give my all to help them feel better. We already live in a negitive world so allowithng these qualities to shine through it we all will have a better day. I love to encourage by love. Which is in every way show. I believe in being me and being the best me possible. By doing that just the simple things everyday like a smile, holding a door open, helping someone with something, ect is my way of encouragement. Positive attitude is contagious and you never know who might have needed that positive encouragement that day. Those small things can change how someone sees life I have all the love in the world to give and that in its simplest way is encouragement to anyone who crosses my path. Being prayed for and praying for others. I find music to be a great comfort to me. I also confide in trusted friends. Hi, Rachel! I love to encourage friends by giving them a call or sending them a fun e-card with music or a card by snail mail. I am encouraged by the same thing, but also by listening to Christian music while I’m working or driving. I am encouraged mostly through music….it can really help me get through anything! I try to encourage others through words of encouragement. For me, having gone through some difficult health issues, I gain encouragement when friends and family pray for me. Personally, I try to leave it all with the Lord through prayer and devotional readings. For friends and family, just be present. Remember them in prayer, but when it counts be with them and don’t try to be the problem solver, the fixer, but let them know you are there for help, encouragement and prayers. I love to encourage people with a special podcast I have heard, verses that seem fitting or a special song. I stayed encouraged with meditation, yoga, daily readings! I love meeting for a REALLY good cup of coffee and chatting to encourage/be encouraged. My favorite way to encourage especially with the women at the prison where I minister is to print out Bible verses on a particular subject. I am encouraged most by the Psalms or songs. I love to be encouraged by songs and quotes. Sometimes while driving, a song will really speak to me and I feel so encouraged. I love to encourages others by reminding them that we can do all things through Christ who give us strength (Phil 4:13) and by pointing out all the great characteristics God specifically blessed them with when He created them! A pat on the arm. I like to encourage others with prayer and a small reminder of their worth in Christ. Laughter- it’s contagious and their response usually makes me smile too. Even in the darkest moments if you can find a funny memory or silly something to make them smile or laugh, one always feels a little lighter and encouraged to face the challenge ahead. I am encouraged by small, random acts of kindness – even a smile from a stranger will pick my spirits up. I like to send a short text or email with scripture or just a note letting others know I am praying and thinking of them. I also get encouraged by scriptures and getting short notes from friends and family. I would love to say that sending cards is my favorite, however, I’m horrible about it! So…I guess sending text messages, which I know that’s not as personal, but it works! I try to let my kids, and friends and family know that I am thinking about them or praying for their struggles, and send them a quick text of love. I know that when others do the same for me I enjoy it, so I guess it’s whatever works, right?!? I love that thought, JoEllen! Depends on the person and the problem. I use songs, poems and verses of the Bible. But sometimes they just want someone to sit quietly and listen. My favorite way to be encouraged is thru prayer, and love. My children help me with their love and innocence to remember to encourage others by, never judging, and using my heart to speak to others, and letting the words flow from god. I like to use inspirational phrases, along with time listening to another’s life story and offering prayers for them to encourage them and myself to continue to press on. Such a blessing to hear others trials and stories so we can pray together. My favorite way to be encouraged is when a particular scripture in my Bible reading speaks directly to me…& then I hear it referred to in a Christian program, lesson or sermon, or a song. It is, to me, a confirmation that God is aware,& cares about, me specifically. In my mind, I know that, but because of my struggles/current situation…I don’t always feel it in my heart. I’m always encouraged by inspirational music. It’s an escape for me. I encourage others with empathy. People don’t always need advice sometimes they just want to know that you care. My favorite way of being encouraged is to say a prayer and then open the Bible experiencing the joy that it is to “listen” to the Lord’s promises for us. I love encouraging my friends by praying for them and sending them Bible verses that speak to their hearts and give them hope. My favorite form of encouragement is with song. I find that music speaks so well sometimes when you can’t find the words. I love to send texts, music, and scriptures to help uplift my friends. 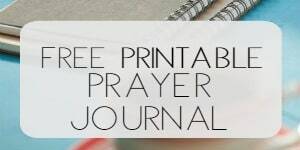 I have been struggling on how to encourage my daughter and I truly believe God brought me to your blog at 2am. After reading you story and hearing about your book, I just now ordered one for her. She has been in and out of jail for so long I feel we are losing her. I also got myself a copy and the bible you use. Just heard my bible is on its way. Yay! : ) Thank you so much for all you are doing. I am encouraged when people listen to my problems and I encourage people by listening to their problems. This is when I take to prayer that I know that the Lord is listening to my problems and helping me out, showing me the way, and I believe my purpose in life is to listen to people, help them with their issues and provide them encouragement when they need. Everyone needs a friend to talk to, spill out their troubles. If it’s through man, I always prefer LOVE. Either way, to be encouraged through love NOT CRITISIZM. Maybe over a cup of coffee. If it’s directly from the Lord, I like it HOWEVER HE DELIVERS, books, music, His Word. I love when God sends encouragement in a variety of ways … I love when He uses personal relationships, songs on the radio, text from a family member or friend, through someone else’s story or experience, media, the church body, but most importantly I love the promises and encouragement His Word provides! No matter if all of the other ways fail (and since they are entwined with humans they will), His Word will not! What an amazing life we can live if we just allow Him to be all we need! A note, letter or even an inspirational book or cards. I always seek encouragement from His word and some of my favorite Christian writers. I have three wonderful sons, one of which has some special needs. I struggle with the how’s and why’s of his situation. I take comfort in knowing that he is fearfully and wonderfully made by our Creator and there are no mistakes. I have a great support system within my church to where the special needs families support one another. A hug, a smile and an I love you and God loves you are the encouragement I love to give and get! Praise songs and great friends! My Encourager are my Devotionals. They lift my spirits high and I feel God’s presence. Once I start reading my Devotionals, I can’t stop. I usually share these Devotionals on my Facebook page hoping to reach out to someone. The gift of a sincere compliment. It can brighten anyone’s day! Rachel it’s you that inspires me! That is so super sweet. God is good!! I like to encourage myself & other by reminding them & me about the promises of God. I work with special needs students and my best encouragement is a hug or smile, or even having my hair ruffled by one of my students. I know then that we are having a positive impact in their lives. I was in an accident in 2010. I had a severe brain injury, was in a coma, and my family was told I’d never walk, be able to shower, feed myself, or drive again. I was able to do all of that within 9 months of coming out of the coma. My accident was over 5 yrs ago, and I’m just now getting back into school to be an xray tech. I feel so insanely blessed to of gone through what I went through, not only for myself but honestly to help others also. My entire life I’ve believed in the Lord. My faith in him got so much stronger after that accident, so strong I would correct people when they called me a miracle, to blessing. Life was very hard after that accident, I thought I’d never be put through any thing else. I thought “what more could happen, jeez.” Well more kept happening. I had every reason in the book to just say I’m done believing in you, I don’t need you anymore. That thought is the wrong one to have. As I keep believing in him so much has happened, some days I stop and say I know that was you Lord. Thank you! Life is rough no matter, keep your faith and head high and one way or another it’ll all work itself out. That has become my thought with life. You have absolutely no control over anything, except how you serve your Father. I tell people my story or turn everything into a reason to have faith, and they will tell me how I have insured them. It’s the best feeling in the world. I like to encourage others and myself by saying a kind word with a smile. I am encouraged by scripture and quotes found on Pinterest. As I pin them to my board, I pray others will be as uplifted as I am by them! I encourage people by sending them hand written notes. I am touched myself when someone takes the time to actual write in this email/text filled world. Curious how it is closed when it is not yet midnight on 12/16/15?? Midnight is 12 am. I posted the winner around 9 am EST this morning. So it was past midnight. Does that help? I’m sorry for the issue! !